Home › Personal Injury › Auto Accidents › Do you need a personal injury attorney? Personal injury claimants in Atlanta and throughout Georgia definitely need to hire an experienced and award winning injury attorney. If you take on the insurance company yourself, then you will almost always recover less because you don’t know the value of your case and you don’t know how to litigate. Adjusters know when they are the advantage, and they also know when they need to negotiate fairly to avoid the expense and exposures they face if litigation is pursued. Are there studies that show hiring an attorney is better? Yes. The Insurance Research Counsel did a study that found that personal injury claimants recovered 3.5 times more when they were represented by an attorney. Surprisingly, the same study found that injury victims also recovered 40% more by just consulting with an attorney. This shows you that even if you are not sure you want to hire us, you should still call us at 877-529-7070 or 877-PAIN-LAW to get information about your case that clearly will help you understand your claim better. How do you know the Griffin Law Firm offers excellent personal injury representation? 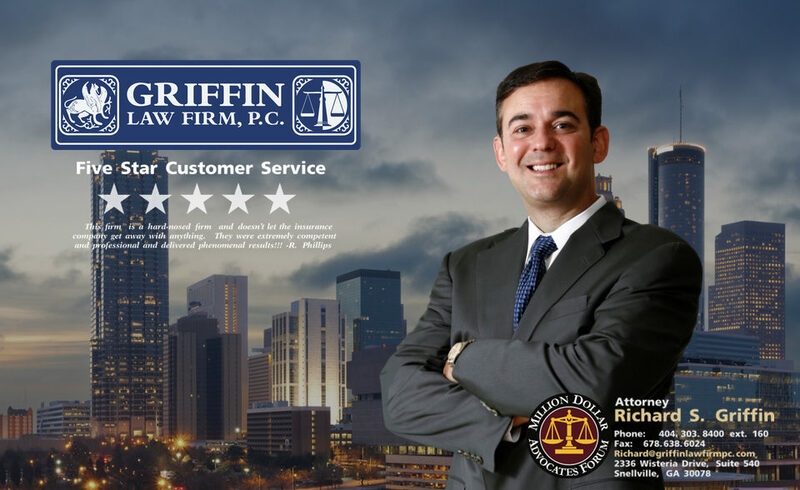 Attorney Richard Griffin recommends you review our firm awards, client testimonials, and settlements and verdicts to verify for yourself if we deliver excellent representation. This will allow you to hear from our actual clients, read about our many awards and ratings, and review the many great settlements that we have delivered throughout the years. Free Consultation: You can call us at 877-529-7070 or 877-PAIN-LAW to get the answers you need about your case or submit your case to us for a free case evaluation.